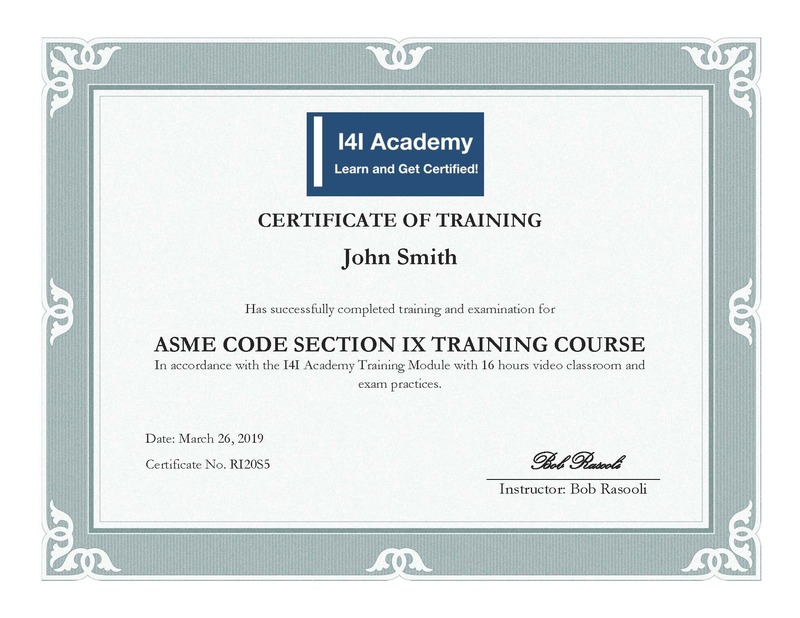 When you completed the video training sessions for IX (welding qualification) which is almost 5.5 hours, in the next step, you will be connected to the practice exam portal with hundreds of practice exam questions; you need to complete them. There are five WPS's and PQR's with the wrong information, and you will be asked to review these WPS's and PQR's and answer to 50 multi-choice questions. There are also 140 multi-choice close book practice exam questions. When you completed these practices, you are going to take a final exam and receive a certificate from I4I Academy with my signature. Risk-Free: You can return this training course up to 24 hours from the time of payment.